Charlotte, NC (MAY 2, 2017): David Weekley Homes, the nation’s largest private home builder, is proud to announce that it received 11 awards at the Charlotte Home Builders Association (HBA) 2017 MAME Awards. The home builder was honored with awards for its sales consultants, community, home design, outreach efforts and a logo. The 11 awards bring the company’s total to more than 725 awards for product design and 1,160 overall. The MAME Awards recognize sales, marketing, design and building excellence and are given to builders, developers, remodelers and associates. Weekley was presented with seven Gold Awards at the HBA’s annual event, including best logo design for the Greenway Village community logo and best community outreach for the company’s build month, which involved building ramps for five families to help them leave their homes without assistance and 250 volunteer hours. Five Gold Honors were presented to Sales Consultants Ted Abbott, Vince Furnari, Joanne Drake, Kim Johnson and Preston Nowaski for their outstanding sales achievements. In the Silver Award category, The Twinleaf at Central Living at Iverson was honored for Interior Merchandising of a Model. The evening’s awards continued with Jenny Miller being named Online Sales Professional of the Year and Pete Prikazsky receiving Builder Superintendent of the Year. Rounding out Weekley’s award-winning night, Waverly was bestowed with the Community of the Year award. This walkable, mixed-use development features three collections of homes, including townhomes nestled in a bustling retail and entertainment center. David Weekley Homes is currently building in communities across Charlotte, including Eden Hall and Fullwood Station in Matthews, Parkside at Skybrook North in Huntersville, Waverly, Melody Woods – Meyers Park, and Greenway Village in South Charlotte, Avignon in SouthPark, and Massey in Fort Mill. Communities close to downtown Charlotte include Central Living at Carson, Central Living at Ideal Way and Central Living at Iverson. 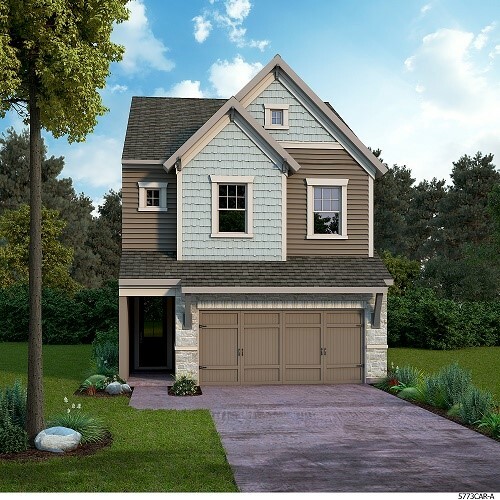 Prices for David Weekley Homes in Charlotte range from the $290s to $1 million+. David Weekley Homes Sales Consultants collected several 2017 MAME Awards.